Being involved with anyone with the Sun, Moon, or rising sign of Aries can feel exciting and fun, but an Aries Man can break your heart if you don’t know what he needs to feel inspired to stick around. Aries is the first sign of the zodiac. For this reason it’s considered a youthful sign. So in relationships, think YOUNG behavior: Impulsive, enthusiastic, bold, easily excited, playful, and highly physical (wink, wink…). But being young, they can also be selfish, argumentative, domineering, and high-strung. Thus, an Aries Man has to be careful of doing that “across a crowded room” thing. They can fall in love with just one look and leap in head first, only to kick themselves later. That is if they make time for relationships at all… It’s the sign of the “self”, so Aries men and women love having the freedom and independence to do their own thing. And if you’re an Aries woman, make sure the man in your life gives you tons of room to travel and play, mingle and mix, and make your big plans your first priority. Because, being a “cardinal” or movable sign, Aries LOVE to work and pursue goals, and are happiest when “going for the gusto” in their professional lives. Making them stay home and focus on “keeping the home fires burning” and doing things any way but THEIR way isthe surest way to lose their love. And woe to the person who makes them wrong, questions them, tries to hold them back from a dream, or does anything but cheer-lead everything they do from the sidelines. In love, they can come on like a proverbial Mack truck at first, loving to initiate in relationships, but tend to get bored easily, or lose inspiration in a relationship at the first sign of trouble. So it’s wisest to get to know them over time to be sure you can truly hold their enthusiastic gaze once the excitement of new love has calmed down. Athletics, by the way, is a great way to bond with an Aries. They’re most turned on by a partner they can be active with – in and out of the bedroom. Encourage your bored Aries to go on a new crusade or international adventure. Aries would rather be spontaneous than plan, so life with one will be full of change and possibility, either bringing constant excitement, or constant exhaustion. You may not know that there are actually THREE signs WITHIN the sign of Aries – and each are VERY different from one another. 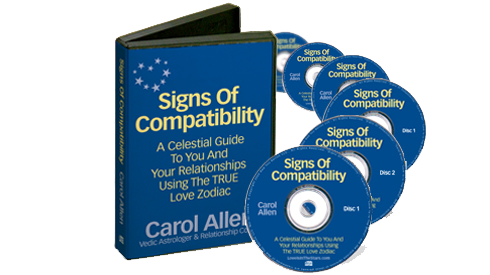 These twenty-seven signs make up the original zodiac of all of astrology – and are used to this day in Vedic astrology – especially for relationships. These signs are MUCH more psychologically detailed and powerful than the “normal” twelve signs we all know – telling you THE MOST important things about a man, and exactly how you’ll get along (your sub-sign with his, that is!). What planet “rules” your emotions – and his, and what that says about you both. My favourite truths about the twelve signs of the zodiac, and the behavior and actions of each when in love (because the twenty-seven constellations are found within, and thus influenced by, the twelve signs…). And if you’d like to know not just how to behave with an Aries man in your life (or any man) but how you’ll FEEL and if your relationship has enough destiny to be a full relationship, check out your “Right Man Report” with him. “The Right Man Report” is a lengthy, in-depth compatibility write-up, telling you all about how you and a man will feel together, and all the ways in which your relationship with him will unfold. It goes into detail about fifteen areas your connection or DISCONNECTION with a man, and what to do to make the best of each. >> If he can handle your emotions. This is critical in relationships, especially if you just started dating him and don’t really know because you haven’t been intensely “emotional” around him yet. Find out how to make the most of your relationship once and for all. This is an especially valuable program if you discover that you’re not really all that compatible together. What do you do??! You learn to make the MOST of the relationship you’ve got, and you learn the secrets to making it loving, happy and peaceful. What if he’s an athletic, freedom-loving Aries and you’re a snuggle-up-at-home type but you love him and want to make it last? 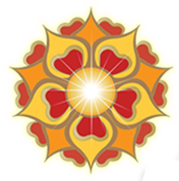 This is where my “Soulmate Secrets” audio program will help you. Relationship and marriage studies the world over say the same thing – there are RULES to succeeding in relationships. Follow the rules and you’ll make the most of your relationship. Break the rules and end up with a broken relationship… no matter how compatible you are. In “Soulmate Secrets” I tell you all the rules, and exactly what you MUST DO to succeed in love. The best ways to DRAMATICALLY TRANSFORM your relationship quickly without him having to help or even know what you’re doing…. The great MARRIAGE SECRET of the Orient that contributes to their next-to-no divorce rate. The #1 key to having a HAPPY MARRIAGE – forever. Gemini: Social Butterfly or Flake? Leo: Royal or Royal Pain? Libra: Intellectual Charmer or Major Manipulating? Pisces: Whiny Wimp or Wonderously Wise? First Name * Email * I am married/in a committed relationship. I am currently single and looking for love. ...Did you know that every 72 years we lose an entire day in relation to the zodiac? That means that you are LIKELY NOT the sign you THINK you are!